This retention schedule contains recommended retention periods for the different record series created and maintained by the schools Data Protection Officer. This schedule refers to all information regardless of the media in which it is stored (if records are retained electronically any backup copies should be destroyed at the same time). Some of the retention periods are governed by statute. Others are guidelines following best practice. Every effort has been made to ensure that these retention periods are compliant with the requirements of the General Data Protection Regulations 2016. Except for those that are governed by statute, if record series are to be kept for longer or shorter periods than laid out in this document, the reasons for this need to be documented. Supplementary Information form including additional information such as religion, medical conditions etc. Correspondence Relating to Authorised Absence and Issues. Pre-employment vetting information – Evidence proving the right to work in the UK. Proof of identity collected as part of the ‘portable’ enhanced DBS disclosure. Budget reports, budget monitoring etc. Education Act 2002, s175, related guidance “Safeguarding Children in Education” September 2004. 1.2 Allegation of a child protection nature against a member of staff, including where the allegation is unfounded. “Keeping Children Safe in Education: Statutory Guidance for Schools and Colleges March 2015”; Working together to safeguard children. A guide to inter-agency working to safeguard and promote the welfare of children March 2015. Until the person’s normal retirement age, or 10 years from the date of the allegation whichever is the longer. NB: 1 year means 1 academic year. If the school is unable to store these then they should be offered to a secure archive service. One copy to be retained with master set of minutes. All other copies to be disposed of. Date of report + minimum 6 years or if minutes refer directly to individual reports then kept in existence with referenced report. Retain while school remains open or archived with a secure archiving company. Retain in school whilst operationally required or archived with a secure archiving company. 2.9 Records relating to complaints dealt with by Governing body. Date of resolution of complaint + 6 years then review in case of contentious disputes. School attendance: School attendance guidance for maintained schools, academies, independent schools and local authorities November 2016. 4.7 Supplementary Information form including additional information such as religion, medical conditions etc. School attendance: Departmental advice for maintained schools, academies, independent schools and local authorities 2016. 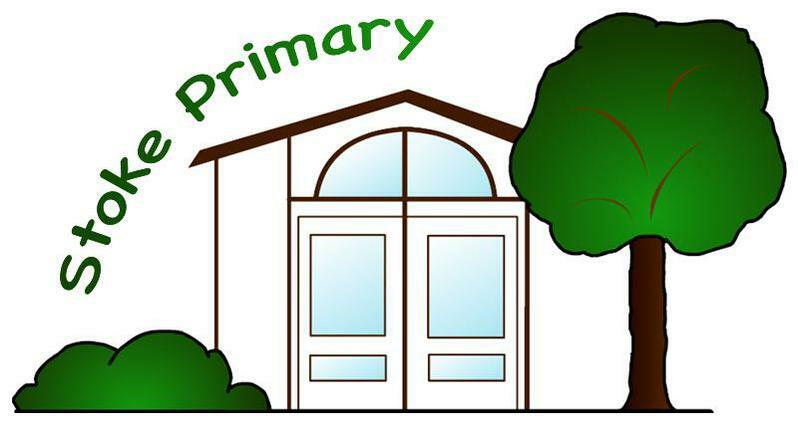 · If the pupil dies whilst at primary school the file should be returned to the Local Authority and be retained for statutory retention. If the pupil decides to transfer to an independent school, home schooling or leaves the country, the file should be returned to the Local Authority. If any records relating to child protection issues are placed on the pupil file, it should be in a sealed envelope and then retained for the same period of time as the pupil file. End of relationship with pupil + 1 year on the understanding that the principal copy of this information will remain with Local Authority social services. Review at the end of 6 years and either allocate a record retention policy or SECURE DISPOSAL. Return to student at end of academic year. If not possible, retain for current academic year + 1 year. Although the consent forms could be retained for DOB + 25 years, the requirement for them is low. Possible to archive. Outdoor Education Advisers’ Panel National Guidance website hhtp://oeapng.info specifically section 3 – “Legal Framework and Employer Systems” and Section4 “Good Practice”. Note: Some Local Authorities will keep SEN files for a longer period of time in case of a claim. Business risk analysis. return to student at the end of the academic year where possible. SATS Should be recorded on the pupil’s educational file and will therefore be retained until the pupil reaches the age of 25 years. The school may wish to keep a composite record of the whole year SATs results. These may be passed on to HE or FE. Examination papers should be kept until any further appeal/validation process is complete. DBS Update service Employer Guide June 2014: Keeping children safe in education July 2015 (Dept. Education s73, 74). The school does NOT have to keep DBS certificates. If the schools does, do not keep for more than 6 months. 9.6 Pre-employment vetting information – Evidence proving the right to work in the UK. 9.7 Proof of identity collected as part of the ‘portable’ enhanced DBS disclosure. Where possible these should be checked and a note kept of what was seen and checked. If it is felt necessary to keep copy documentation then this should be placed on the member of staff’s personal file. Where the warning relates to child protection issues see 1.2. If the disciplinary proceedings relate to a child protection matter please contact your safeguarding children officer for further advice. If incident is child protection related see 1.2 otherwise dispose of at conclusion of the case. Retain copy of Health and Safety Policy published at the time of the accident with this file. Control of substances Hazardous to Health Regulations 2002. SI 2002 No 2677 Regulation 11; Records kept under the 1994 and 1999 Regulations to be kept as if the 2002 regulations had not been made. Regulation 18(2). 10.6 Process of monitoring of areas where employees and persons are likely to have become in contact with asbestos. Control of Asbestos at work Regulations 2012 SI 1012 No 632 Regulation 19. Automatically destroyed after 30 days unless investigation. End of investigation + review. 13.5 Budget reports, budget monitoring, budget statements etc. To mean shred/put into confidential waste bins.